Where can you find blue waters like the Caribbean, wineries reminiscent of Napa, chateaus that belong in France, food as varied as the Big Apple and skiing you'd expect in the mountains? In Michigan, of all places. Traverse City, Michigan to be specific. As a New Yorker now living in the Midwest, I am constantly surprised by what the world around Lake Michigan has to offer and I was definitely not prepared for what I could find in Traverse City. The drive through Illinois and Indiana has become a bit more familiar to me and I had even ventured into some of the Wolverine state, but I was prepared for the beauty as I headed north. 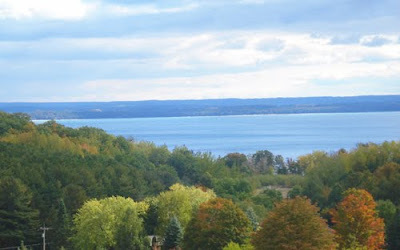 The winding rounds and hills gave way to crystal clear water as I entered Traverse City. 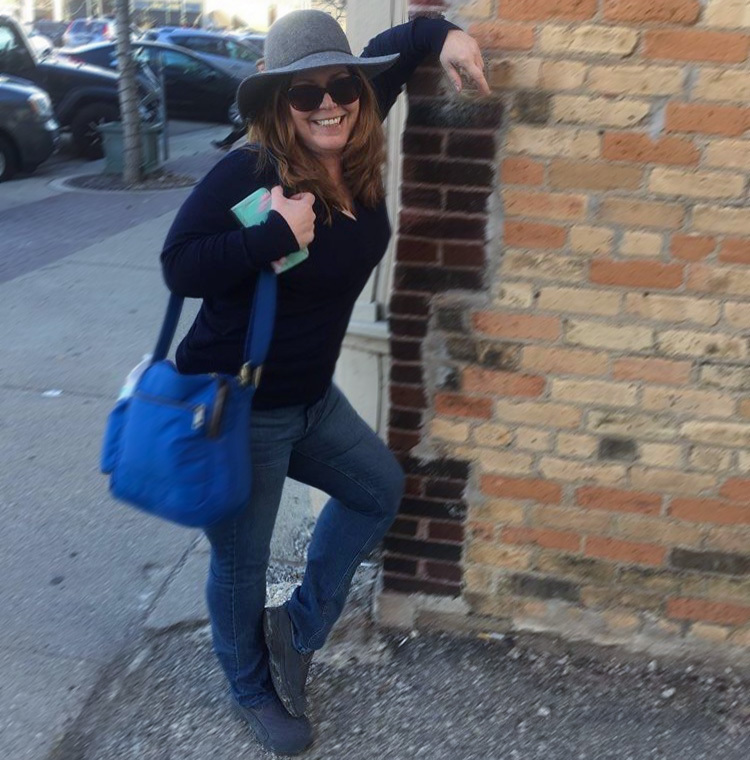 Spring through fall, Traverse City looks like it could be any beach town, with resorts lining the miles of sand and fishing boats docked where the jet skis and boogie boards aren’t. In the winter, it all gives way downhill and cross country skiing, snowboarding and snowmobiling. 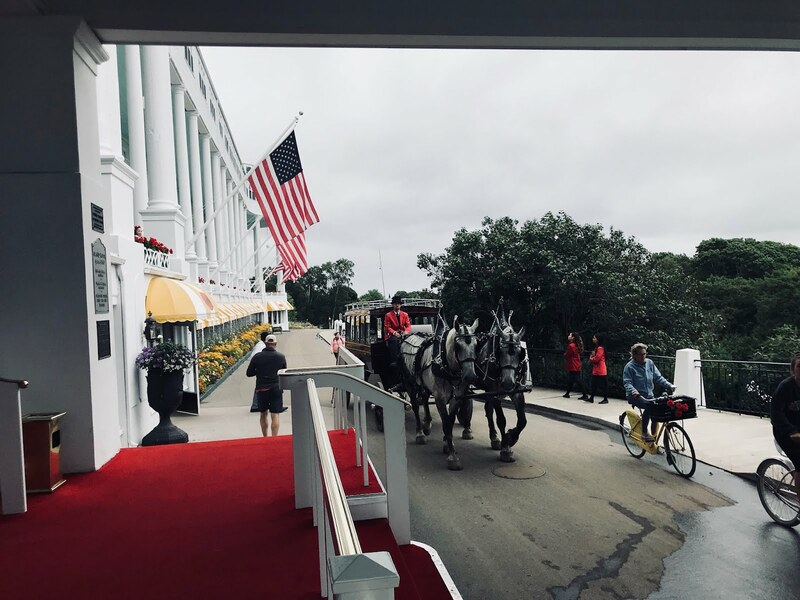 But there is something that Traverse City has that you won’t find at a Caribbean island or mountain resort area – wineries, lots and lots of wineries. I could have easily mistaken this breathtaking property for one of the chateaus I visited in Cognac, but it isn’t France that the Begins came from, it’s Canada. That’s where founders Robert and Nadine – a priest and nun respectively at the time -- met. The couple married and lived out their dream of creating a European style chateau on this 65 acre property. Originally the plants were all cherries, but they were slowly replaced with grapes and the first vintage was in 1991. Today, Chateau Chantal has about three dozen different wines and champagnes. They grow many of the grape varieties used and import the rest from around the world. 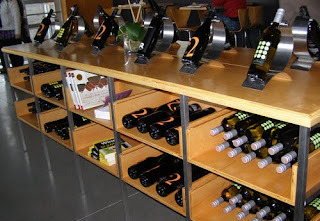 Their Celebrate!, a mixture of Chardonnay, Riesling, and Mendoza Malbec grapes, won three medals in 2009. The 2007 Proprietor’s Reserve Chardonnay2008 Semi-dry Riesling, which has a unique taste of smoky and sweet, with green apple undertones. deservingly has five prizes to its name, including the Gold Medal from the 2009 Tasters Guild International. This wine was new oak barreled to give it that strong oak flavor . One of their bestis the 2008 Semi-dry Riesling, which has a unique taste of smoky and sweet, with green apple undertones. It was from the old world to the new world as I entered Two Lads. The two lads are Cornel Olivier, raised in the vineyards of South Africa, and Chris Baldyga, a Traverse City native. This is one of the newest wineries around in a modern building that strongly contrasts the rest of the Old Mission Peninsula. The other thing that makes Two Lads stand out is their dedication to the reds. It is their focus and it’s paid off – the 2007 Cabernet Franc, which hits the palate with everything from blackberry to cigar and chocolate, took prizes home that included Double Gold at the Finger Lakes International Wine Competition. Also not to be missed is if you are looking for something powerful is the Pinot Noir, a spicy blend with just enough sweetness, thanks to 70% aging in oak and 30% in stainless steel. From the old to the new to the familiar. At Brys Estate you feel more like you are in the family living room than in an “estate.” Walter and Eileen Brys are the owners and they have a house on the property. 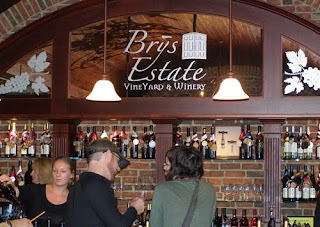 The couple welcomes you into their home to taste their award-winning wines. 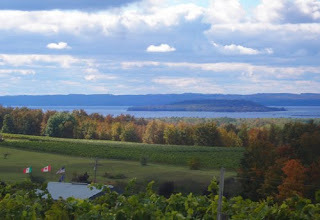 It is here in Traverse City, their favorite place to visit, that they began their second lives as vintners and every wine is a part of them. The Brys were the first in the area to boldly charge $50 and up for a bottle of wine, like their Artisan-Chardonnay, which carries the vanilla aromas with a smooth finish. 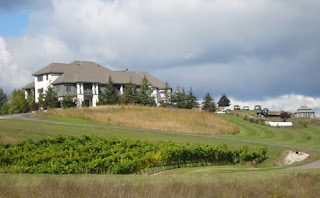 The Brys say it is made “without any malolactic fermentation, to preserve the balance of acidity.” The one wine that does hit that price range at other vineyards in Traverse City is Ice Wine and Brys Estate had the best I tasted. It wasn’t quite as sweet as some of the others, yet it was a perfect finish with a slice of cheesecake (how they sample it, only $5 for both). This wine has received numerous accolades. My final Traverse City winery was appropriately a combination of many, and it was one of the best. Left Foot Charley isn’t located among rolling hills or acres of grapes, it’s in The Village at Grand Traverse Commons, a former asylum turned shopping mall/restaurant pavilion. Left Foot Charley doesn’t spend their time growing grapes, Bryan and Jen Ulbrich concentrate on doing justice to the grapes that are already there, from the Leelanau and Old Mission Pavilion, as well as a some from Antrim County. The formula seems to work for Left Foot Charley. The must have here is the 2008 Murmur – a combination of Pinot Grigio, Riesling and Traminette that they recommend gets its full flavor with a curry spice, but I think it’s just fine with a serving of The Goat (goat cheese, fig and walnut spread with crostini). If you happen to be there in the fall, go for some of the Hard Cider, using a mixed variety of apples and finishing with 6.5% alcohol. As for accommodations, I stayed at the Bayshore Resort, which offers oceanfront (yes, I know it’s not really an ocean, but it certainly looks like one!) accommodations with Jacuzzis and Fireplaces for year round comfort whether you’re looking for a romantic getaway or a family vacation. There are incredible views from the balcony and it’s a short walk into town. Though we didn’t stay there, I got to tour the Grand Traverse Resort (and have a great meal in their rooftop restaurant, aerie). I would highly recommend this place for a more complete travel experience as they have a selection of accommodations (including condominiums); an indoor waterpark for winter months and outdoor pools & beach for the summer; tennis courts; three championship golf courses; and many more activities. If you are looking for the true wine/travel experience for a short visit, it doesn’t get more authentic than Chateau Chantal. You can stay right at their bed & breakfast where you only have to walk a few hundred feet to your wine tasting. I will have to check out Traverse City. Thanks!